Our love of all things natural goes back a long way, starting with generations of family raised on farms. 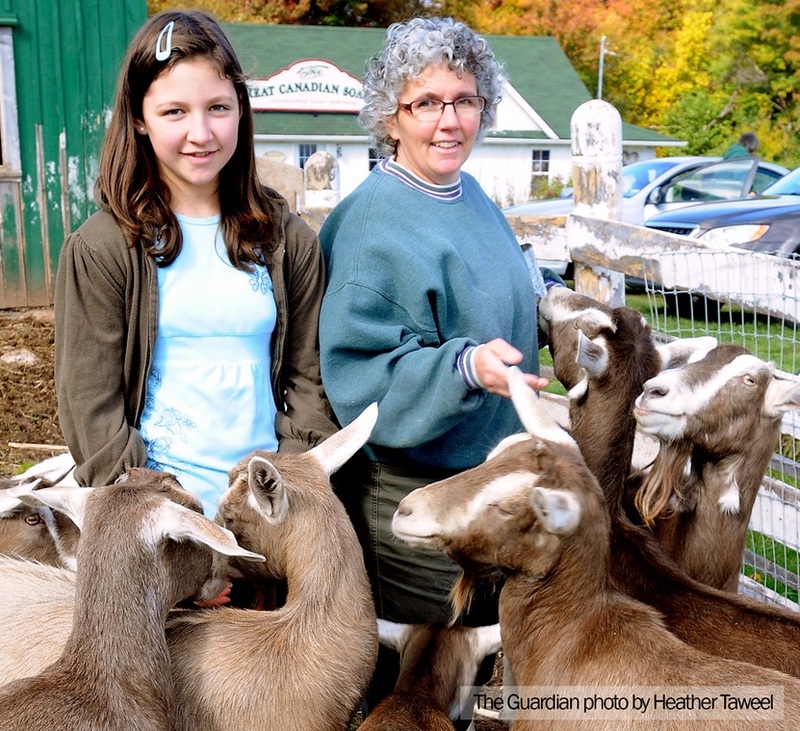 Following tradition and inclination, my family and I acquired a herd of dairy goats in 2000. With more milk than we could drink, we began experimenting with soap making. Our Bed & Breakfast was running at the time and we would do old-time activities with the guests, like milking the goats, playing old fashioned games, and...making soap. After one such activity, we were delighted to have the guests ask to purchase the soap. We were even more delighted the next year when returning guests asked for it again. We began making a supply to sell, based on customer requests. People found a positive effect from the soaps on skin conditions like dermatitis, eczema and psoriasis. Loving the idea that we could develop products that would help people to live comfortably in their skin, we began in earnest researching natural ingredients, aromatherapy, and herbology. I became an official soap maker and an accredited member of the Handcrafted Soap Maker's Guild. In 2003, the soap shop opened in a garden shed. 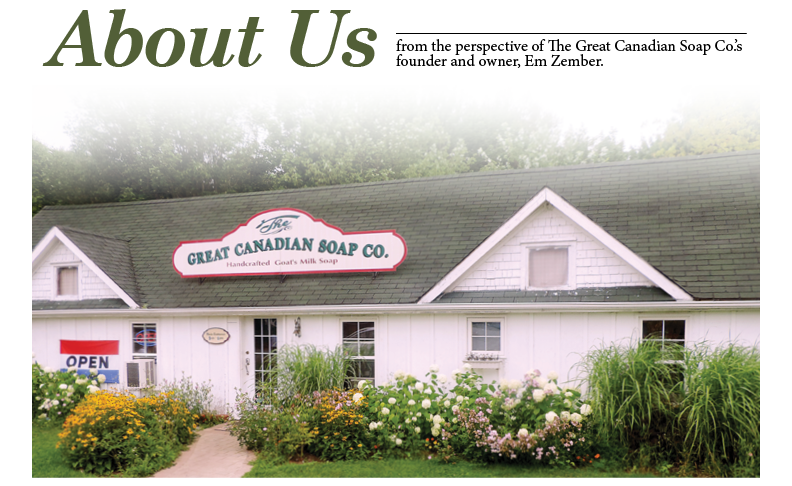 Customers would purchase our soap and then return a few days later with stories of how the soap had helped them! The next year, we renovated part of a barn for the soap shop; today the shop occupies that entire space and we have had to enlarge our parking area. We opened our online store, making our soap accessible to all who seeking natural, quality goat milk soap; near or far. We have built a wonderful team of employees that all share the same vision, and we welcome volunteers from around the world to come stay and help us on the farm with the goats, the gardens and the shop. If you find yourself on Prince Edward Island, come visit our retail store in Brackley Beach! Browse through our products, watch a demonstration on how our soap is made and visit the goats!